Avoid Foreclosure Scams in Dallas Fort Worth!!! Your in the right spot to avoid Foreclosure Scams in Dallas Fort Worth. As you know, foreclosures over the past few years have hit an all time record high and we want to show you how to avoid foreclosure scams in Dallas Fort Worth. Just as with anything else, when there is an opportunity when people are hurting in the community… the dishonest scammers in the world will come out of the darkness to take advantage of home owners who don’t know any better. We’ve been working with home owners for some time now, in fact we talk with home owners in foreclosure just about everyday. 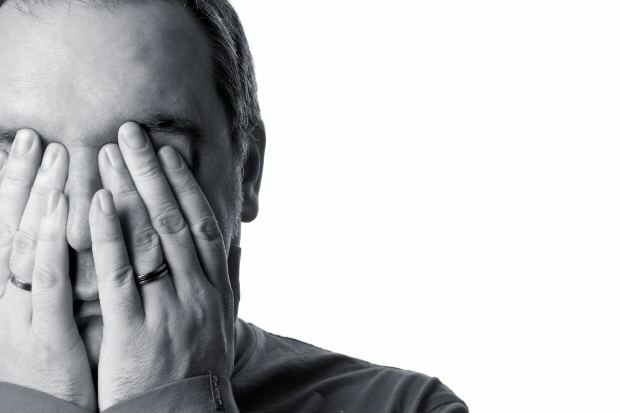 It is very sad to think about, but you should hear some of the stories we’ve heard of with clients in foreclosure here in the metroplex being taken advantage of by dishonest investors proclaiming to be reputable “house buyers”. You’ve seen those signs that say “We Buy Houses Dallas For Worth”… or websites even like ours that mention this same marketing phrase. Yes, we buy houses in Dallas Fort Worth and I’ll walk you through how to spot potential scams from reputable house buyers in our area. When a lot of money is on the line some people will do whatever it takes to get an edge. As a quick summary… there are many companies out there in the local market that buy houses from people who are motivated to sell their house quickly. In fact, if it were not for private investros buying houses nationwide our government would own everything including out futures and we would be communists lol. Scary huh? But, in many cases… that’s where the similarities from the scam artists and legitimate honest companies with great reputations like we have stops. In this article I’m going to quickly point out some of the ways a small percentage of companies will try to take advantage of home owners like you. Listen up close to make sure you are being safe if you have to sell your house fast in Dallas Fort Worth. If you’re in behind on pyaments and facing a foreclosure and are looking for a solution to avoid foreclosure in Dallas Fort Worth, here are some “solutions” some dishonest companies may offer up. They May Charge You Upfront Fees To Get Mortgage Assistance From Your Lender – As Fannie Mae says, help is free. Some companies will try to charge you a fee for talking with your lender about your mortgage to find a solution. DO NOT fall for this. We do this for free for our clients and if they try and cahrge you shame on them. You can talk with your lender about the mortgage and your options anytime with no charge, or work with a company who will do your loan counseling for free. Signing Over The Deed To Your Home To “Save” Your House – Yes this happens a lot. Do not do this unless the person the company is willing to work the deal in a way you are protected. An example is if the offer to put the house in a land trust andmake you a resident benficiary having claim to the house in a way. Or by giving you an agreement that says you can take the house back if more then X amount of payments are not made. Some corrupted companies will tell you that you can sign over the deed to your house (essentially giving up ownership) to save your house. Many forget to tell you the loan and risk stays in your name. As Fannie Mae says, never sign over the deed to your house unless you’re working with your mortgage company to forgive your debt… or unless you’re physically selling your house to that company. If that’s the case, ask the company to do everything at a reputable title company so everything is on the up and up (always consult certified legal advice before ever signing over your deed). Some Investors May Try To Convince You That You Don’t Need A Title Company or Other Professionals Like A Lawyer In Selling Your Home – Selling your house, whether you’re in foreclosure or just need to sell quickly, always should be done with professional services to make sure everything is done correctly with checks and balances. With every house we buy, we always make sure to use a neutral 3rd party Title Company for closings, drawing up closing documents, and any other related paperwork. This is always smart for both parties and it conveys confidence with the house seller and it makes sure there’s no sketchy actions taking place on either side of the transaction. If a house buyer says you’re going to do a “kitchen table closing” (which means signing all of the papers in your house right then) rather than a title company or attorneys office… just be sincere and ask them why. Kitchen table closings can work and are allowed and do happen, but using a title company or attorneys office helps protect both sides and makes sure everything is executed correctly. The Mortgage Payment Scam – Some dishonest investors have pulled a scam where they instruct the home owner to pay mortgage payments to them directly rather than the bank. The claim they will then “handle paying the bank”. Never do this under any circumstances should you do this unless you get your mortgage company’s approval in writing. The reason is they will then just pocket your payments and not pay the mortgage company at all… destroying your credit. 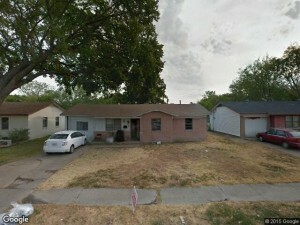 We buy houses in Dallas Fort Worth and help people in foreclosure every single week. So trust us when we say we know the market well and have seen lots of dishonest things happen to people who were suckered by a scammer before they found us or another honest company. What we always say is to do your homework to avoid foreclosure scams in Dallas Fort Worth. If you’re in foreclosure and need assistance, or your just curious to know your options… visit your local foreclosure counseling service. Or, if you’re looking to sell your house fast, we’d love to speak with you…discuss your situation and your house… and make you a fair offer after our talk. We can close as quickly as 7 days. The best part is that we’ll make you an offer and there is no obligation and no pressure. Call us today at 469-209-5350. Avoid Foreclosure Scams in Dallas Fort Worth…..